new built-in PDF reader – I got to admit, this is the most important enhancement that Amazon has made to the Kindle. You can forget about the remaining six new features. 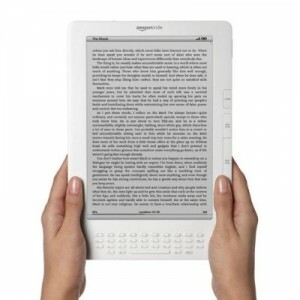 This feauture is definitely enough reason for you to buy the Kindle DX. And I couldn’t help but commend Amazon for doing this despite the fact that it may lessen their e-book sales. Why? Because this would mean that users can now simply load e-boooks in PDF format into the Kindle 2 without needing to purchase from the Kindle Store. larger display – Kindle Dx’s surface is now 2.5 times bigger than the previous Kindle. This makes more room for graphic-rich content ideal for reading newspapers and magazines, and textbooks. bigger memory capacity – Kindle DX can now hold up to 3,500 books with a 3.3 GB memory. And if you purchase Kindle books from Amazon you can extend this further by reloading it wirelessly with new titles without losing your previous purchased since Amazon automatically backs them up. The other four new features of the Kindle DX are thinner form factor, free 3G wireless connectivity, synching with Kindle for iPhone, and the massive selection of books, magazines, newspapers and popular blogs.